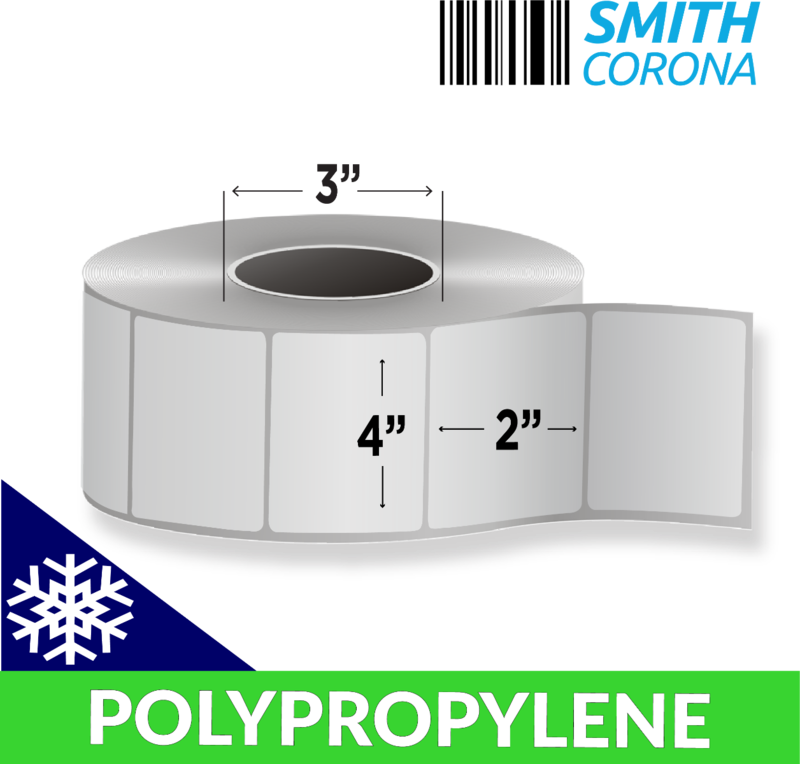 4" x 2" Polypropylene With Freezer Adhesive - Direct Thermal Labels On A 3" core With 2880 Labels Per Roll And 4 Rolls Per Box ... read more. These labels are coated with our freezer grade adhesive. 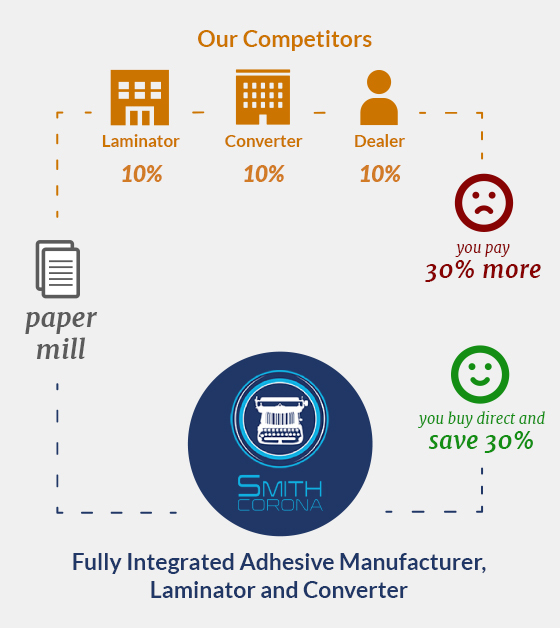 This adhesive will work for temperatures as low as negative 40 degrees. These labels are tear resistant and much more waterproof than their paper counterparts. These direct thermal polypropylene labels are slightly grey in color by nature. Finally, these labels do not require a ribbon.